- What is a Super “Podcast” Listener? What is a SUPER Podcast Listener? Sharing some recent researchtelephone survey of media habits, a portrait emerged of what appears to be the podcasting “super listener” — a highly engaged consumer of informative digital audio content. A preference for subscription (Not Paid) and time-shifted consumption. Start with the very basics: who is your model listener? Are they a man or a woman? Are they a 23-year-old student who is getting serious about politics, or a 55-year-old launching a new career? What do they get up to at the weekends? It may feel weird at first to draw up an identikit of your ideal target audience member, but keeping this picture in mind will help you avoid going off on unrelated directions, and even really help you in matters such as deciding your episode’s duration or getting your podcast exposure on relevant platforms. This is no time to be modest. At the very beginning, you have got to be your very own cheerleader – cos if you don’t cheer, who will? Your launch is a great moment to capitalize on excitement – that energy is hard to regain at a later date, if you miss that opportunity. A pre-launch marketing plan demonstrates confidence that you can pull this off and passion in your topic and the podcasting format. That’s the kind of attitude that intrigues listeners, even before being presented with the actual content. Create a launch team of 20+ people that commit to downloading and sharing your podcast with all their networks too. Aside from the fact that many devices have iTunes pre-installed on them, making it the first point of call especially for podcast newbies, if you manage to get a high rate of downloads, subscriptions, rates and reviews podcast once it goes live, there is also the opportunity to be featured in the New and Noteworthy section in your first weeks, which will be a great boost for even more listeners taking notice. Business podcaster Tyler Basu, whose podcast ranked at the top of iTunes’ USA New and Noteworthy charts when it launched, suggests that one clever way to better your chances is to be very strategic in how categorize your podcast. Consider also putting your podcast in several categories as well as subcategories that won’t be as broad and competitive. The magic touch of podcasting lies in the seamless way information syncs up, like a smooth dive into a pool. This is thanks to your RSS feed. Messing that up, well, it’s tantamount to a belly-flop: jarring and kinda cringe-worthy. Always make sure to submit the same RSS feed on all the distributive platforms that you use, for every episode you publish. You should avoid at all costs spreading around different RSS according to the different platform that you use because you’ll never have one single link where people can access and download your show – therefore cutting you off from gathering clear, comprehensive statistics from across the board. A singular RSS feed is easier to follow in case something goes wrong. An easy trick to keep on top of this is subscribing to your own podcast so you can quickly double-check your RSS feed is working once you publish new episodes. It’s nice to keep everything in one place, but that’s no reason for uploading your podcast files onto the same server as your website. First of all, hosting your podcast on your site will be a strain on your bandwidth and therefore make your website really slow. Secondly, the audio quality will not be so good. Podcast hosting services are the answer, particularly when the podcast player can be fully embedded into your official website and customized to fit in with your branding. Host platforms such as Soundcloud, Libsyn, Spreaker and Podbean all offer embedded players, so it’s worth exploring the various different features – you’ll find that some are mobile-friendly, too, as well as being able to track plays, downloads, and likes. You Tube has been marking everyone "not advertiser friendly" en masse. If you get enough, they will shut down your channel. You can appeal this if you have, IIRC, 1,000 or more subscribers. They are also hitting people that are not monetizing. We have no idea why they are doing this. Fair use means nothing even if you are making commentary. 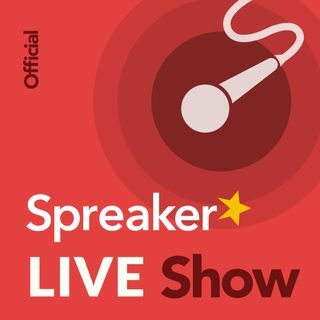 Also when I embed Spreaker to Wix, using the "embed code" widget, you can also change the size to specifications "height= width=". Autoplay if "0", change to "1" in the code script if you want shows to autoplay. Podfasting is like fast forwarding with sound. That's a good idea when you want to speed things up and maybe get to a certain point of a podcast. I have zero copyright srikes... Which made it even more absurd. They are doing what Alex said... That my content is inappropriate. It's a clean show. Nothing controversial. Books and pop culture. I'm so over it. I have already gone to other platforms, Wenoo and VidLii. No problems in either places. To clarify the monetizing comment, I mean that people are getting flagged even if they are not monetized. By fair use, I mean reviewing a product or program even if you do not actually use images or clips from what you are reviewing, just flagged for mentioning their name. I only embed to my web sites, though I will manipulate the code to fit the format of my web site for the players. I had to have Rob submit me to i-Tunes because Apple I.D. does not work for me nor does the player. You have to have an Apple I.D. to submit to i-Tunes but even with several calls to Apple support, they could not help me get signed in there. Thank you again, Rob. I can actually listen while doing non-audible work on line such as web design updates, E-Mail, Facebook, Twitter, financial stuff, so on. So I can get that done while I am listening but it would only work at normal speed for me. Twice the speed is too fast for me. It becomes illegible. I seriously hate YouTube. They demonized lots of my videos (podcast episodes) and flagged some for review. Never mind that I have a clean podcast about books and pop culture! It's crazy. I'm over YouTube. I'm everywhere (except Spotify and I Heart Radio). I set up for Tune In, Stitcher, etc. I like the balanced approach, but we still need to inspire emotion in the listener. Dividing your audience can get you some attention, but could hurt from listener numbers too. A lot of podcasters like to stay neutral not to upset their audience. Good evening gentlemen. Glad I'm able to catch you live today.